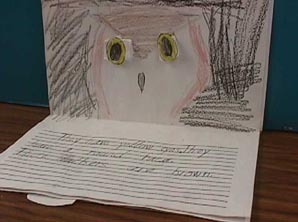 The first thing we did to begin our Owl Prowl Project was to contact our resident expert on owls. 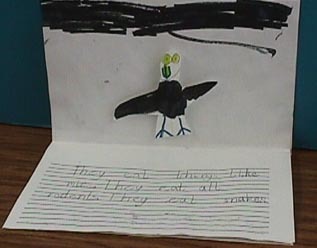 Mrs. Martin is a third grade teacher and very knowledgeable about the flora and fauna in our area. She told us that we might expect to see the Great Horned Owl, Screech Owl, Burrowing Owl, and Barn Owl. During winter we might see a Snowy Owl in the Northern Illinois area. Mrs. Martin's husband is a taxidermist. Each year he brings in an animal and demonstrates his skill. 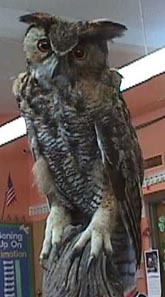 Mrs. Martin loaned us a Great Horned Owl, which is usually on display in her room. 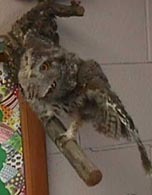 She also has a red/brown Screech Owl and a gray Screech Owl on display in her classroom. *One needs a special permit to stuff owls and they must be used for educational purposes. Mr. Martin has a special permit to do this. 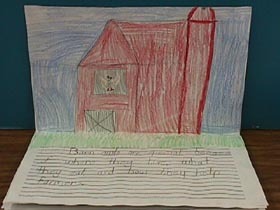 The next thing the boys and girls did was research in the library. They found several good books about owls, some great Ranger Rick magazines that told about owls and of course encyclopedias. The boys and girls went on the Internet and viewed the sites in the Owl Prowl Project. 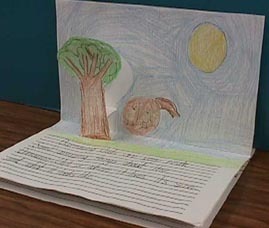 Then students wrote down facts about the owl they chose and wrote a book telling about their owl. The boys and girls tried pop-up books, which turned out really cute. Some of the pages are pictured below. Burrowing Owls are very neat. Some amazing things about the Burrowing Owl are where it lives, its size and what it looks like. Burrowing Owls like the prairies, and they live in holes under the ground Sometimes they live in holes that other animals dug. The length of the Burrowing Owl is 21.6-28 cm. The wingspan of the Burrowing Owl is 50-61 cm. The weight of the Burrowing Owl is 170-214 grams. The Burrowing Owl has white eyebrows, yellow eyes, and long legs. The owl is sandy colored on the head, back, and upper parts of the wings. I think Burrowing Owls are neat because they live in holes in the ground. Owls are very special because of how they hunt, what they eat, and what they look like. If a flock of small birds spot an owl, they fly around it making a lot of noise. They do this to make the owl move away from their territory. Owls eat mice, frogs, and snakes. 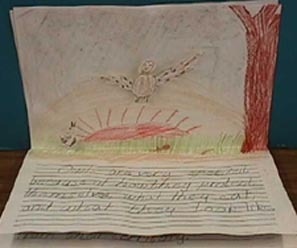 Some owls can kill and eat a small fox. Owls have round heads, big eyes, and flat facial disks. Owls have soft fluffy feathers, which make the owls almost silent in flight. 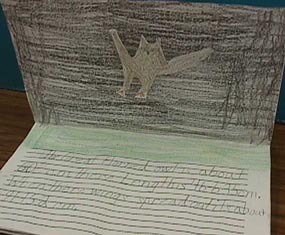 Come back next time to learn more facts about owls. Screech Owls are amazing birds. 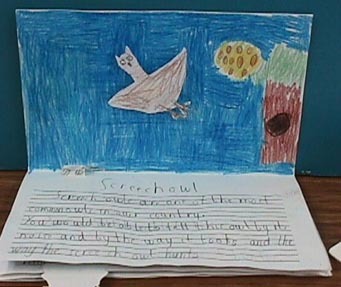 Screech Owls are amazing because of where they live, what they look like and what they eat. The Screech Owl lives all over the United States. They live in swamps and wood lots. They also live in forests. They have yellow eyes. They have a round face. Their feathers are brown. Screech Owls eat rodents. They eat insects. They eat mice too. That is why Screech Owls are amazing birds. The Great Horned Owl is really unique. Some amazing things about the Great Horned Owl are what their size is, where they live, and what they hear. The Great Horned Owl is about 46-63 cm. in length. When their wings are spread out, it's about 91-152 cm. from wingtip to wingtip. The Great Horned Owl is found in North America, from the northern tree line and then in Central and South America. Great Horned Owls are the largest owl in North America. The Great Horned Owl can hear a mouse running through the grass at night. And it can hear a fish swimming. Great Horned Owls are amazing creatures. Screech Owls are interesting owls. They are interesting because of the way they look, where they live and what they eat. A Screech Owl is a small owl with yellow eyes and an unusually pale bill. Ear tufts are easy to see when they are raised. When the ear tufts are flattened the owl has a round head. The Screech Owl lives in trees, swamps and wood lots. He ranges all over the Eastern U.S. and southern areas of Eastern Canada. They eat things like mice. They eat all rodents. They eat snakes too. Please come back again for more news. Barn Owls are special because of where they live, what they eat, and how they help farmers. This little owl roosts and makes its nest in barns, old buildings and abandoned buildings. Barn Owls eat mice and rats. It aids farmers by helping to keep farms free of rats and mice. They seldom touch poultry, which are asleep, and inside when owls come out. They are amazing because of the shape of their face, and because they help farmers. Screech Owls are one of the most common owls in our country. You would be able to tell this owl by its noise, by the way it looks and the way the Screech Owl hunts. The noise that a Screech Owl makes is not a screech at all. It makes a whistle sound. You would know this owl if you heard it on a quiet night. Screech Owls are about 8 inches tall. This is small compared to other owls. They have ear tufts. These owls can be gray and white or brown and white. It has very good eyes so it can hunt its prey at night. Come visit us again to learn more about the Screech Owl. Snowy Owls are neat creatures. Some amazing things are their color, what they eat and where they live. The Snowy Owls color is white with gray dots. They have yellow eyes and have a black beak. 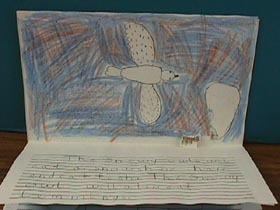 The Snowy Owls will eat a snowshoe hare and eat fish. The Snowy Owl will also eat lemmings. The Snowy Owl lives in the Arctic and in winter may come south to Illinois. Come back to Owl Land.